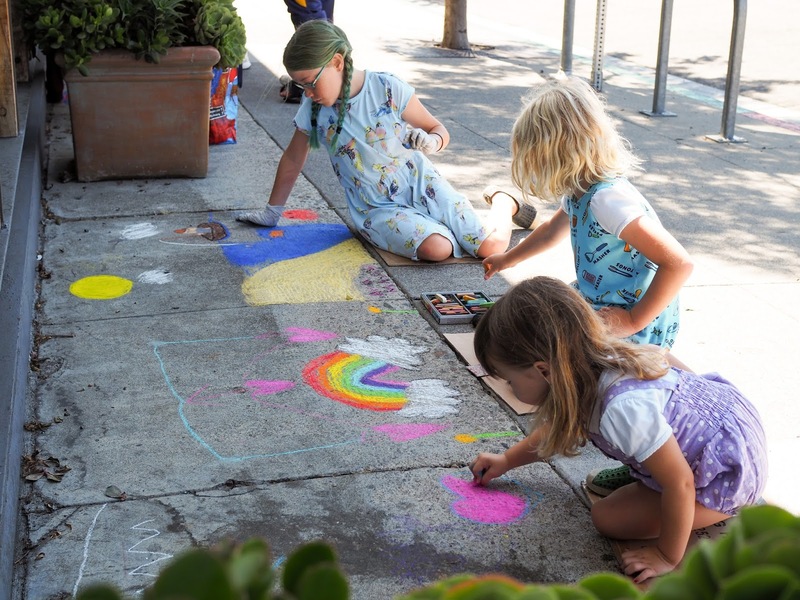 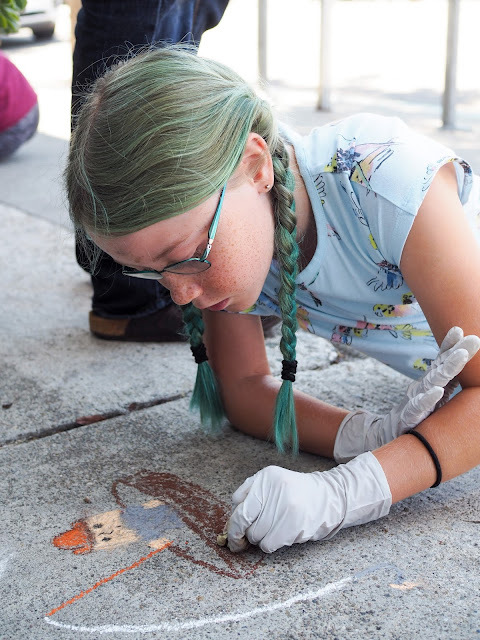 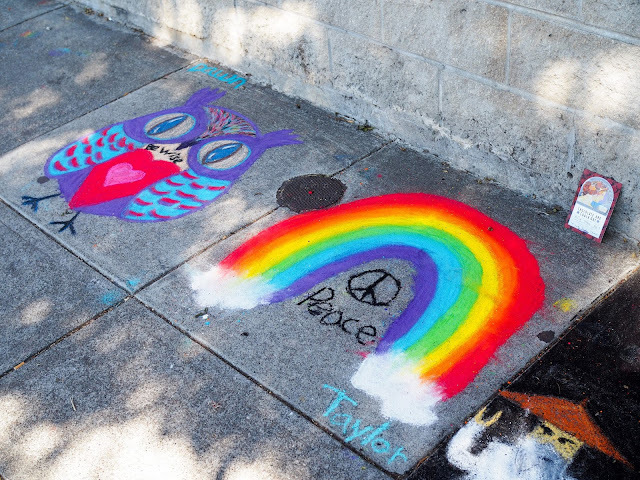 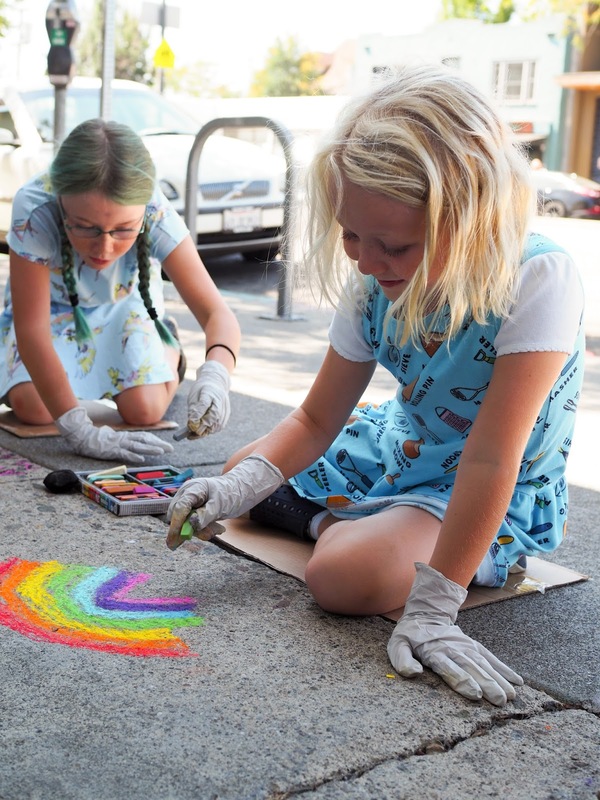 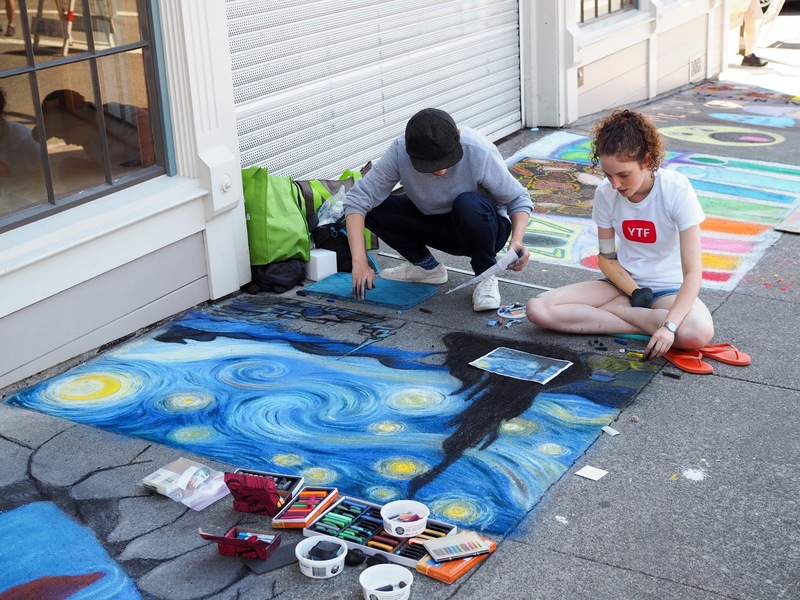 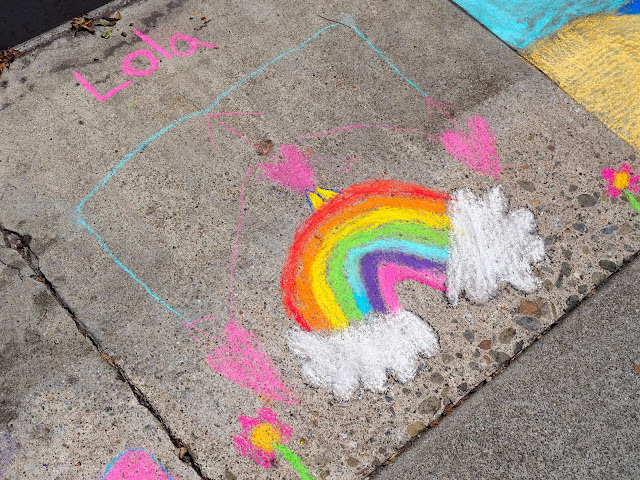 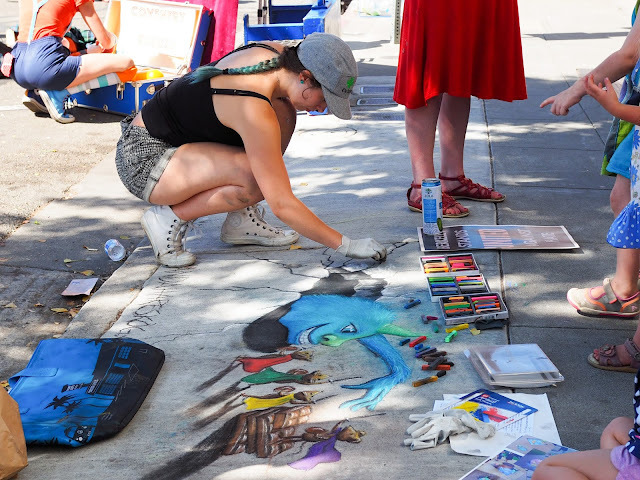 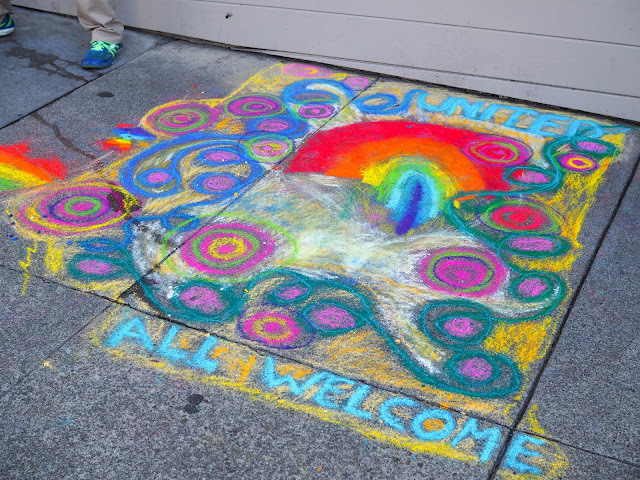 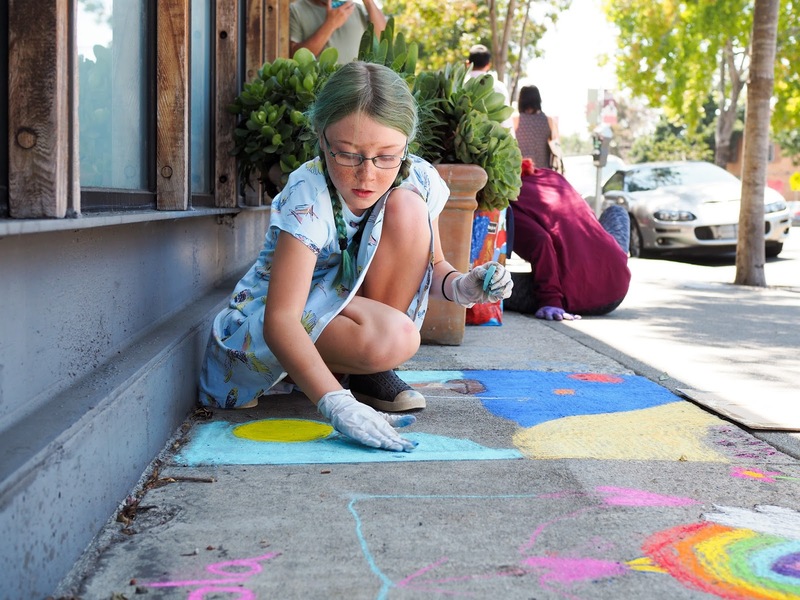 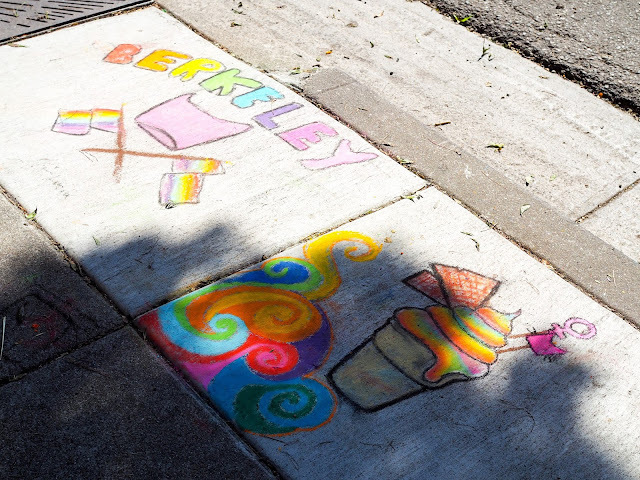 About a month back the girls took part in one of our favorite local festivals, the Berkeley Chocolate & Chalk Art Festival! 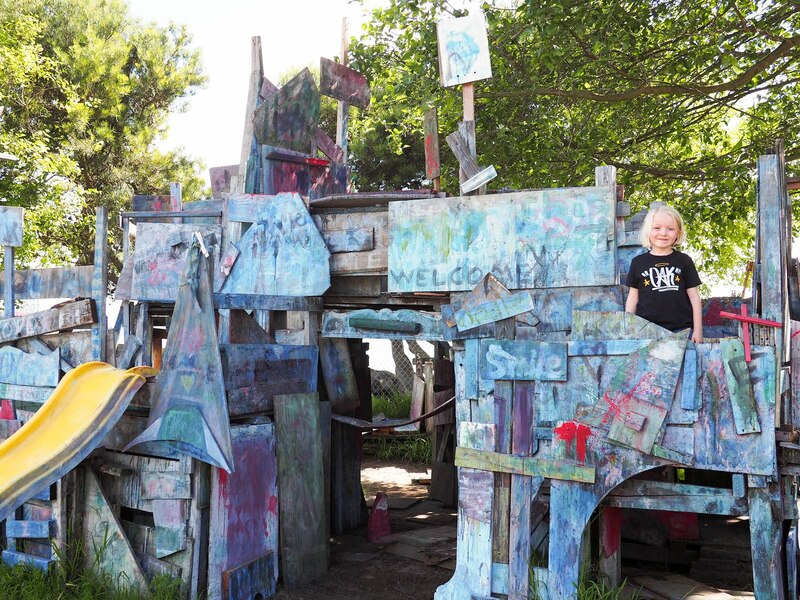 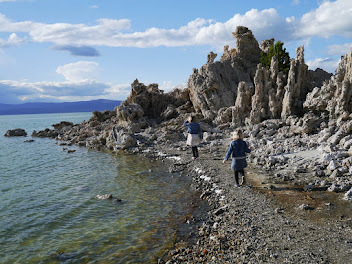 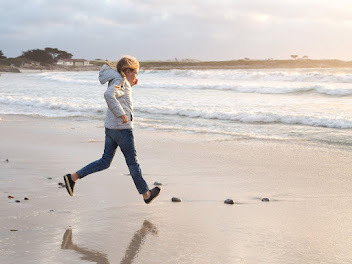 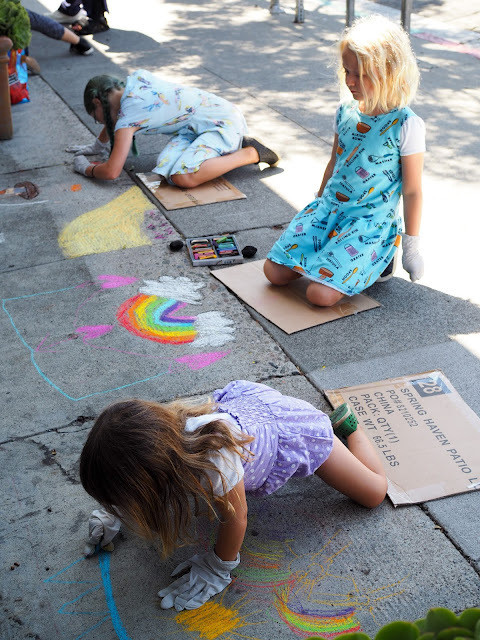 This festival was previously held annually, but has been away for the past few years (it clashed with the Bay Area Book Festival which was run by the same people). 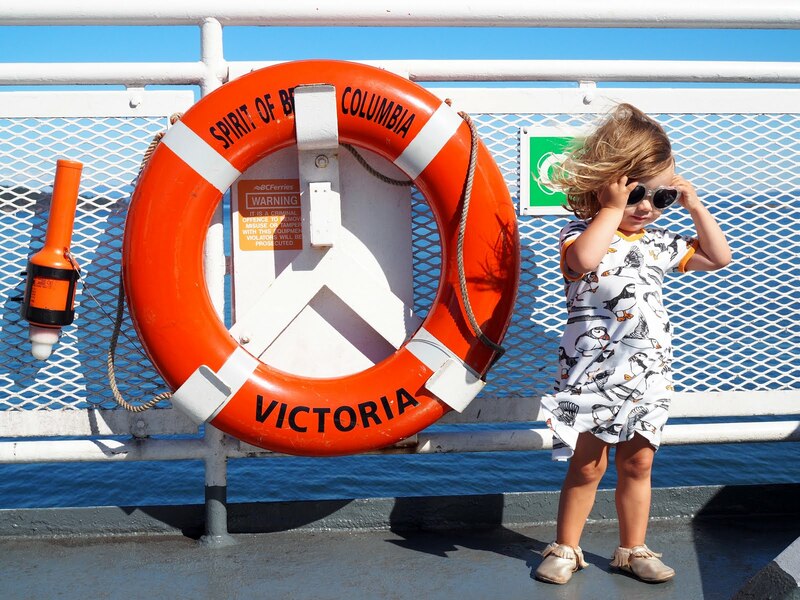 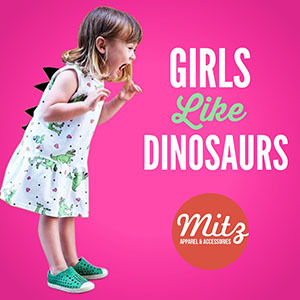 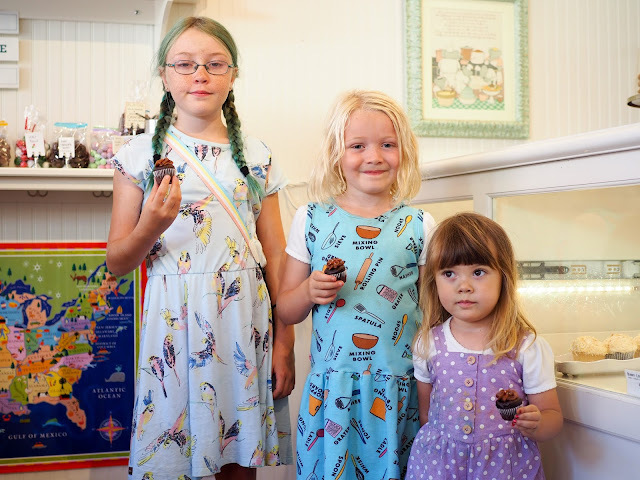 The girls and I were super excited that it has made a come back and we hope that it's here to stay. 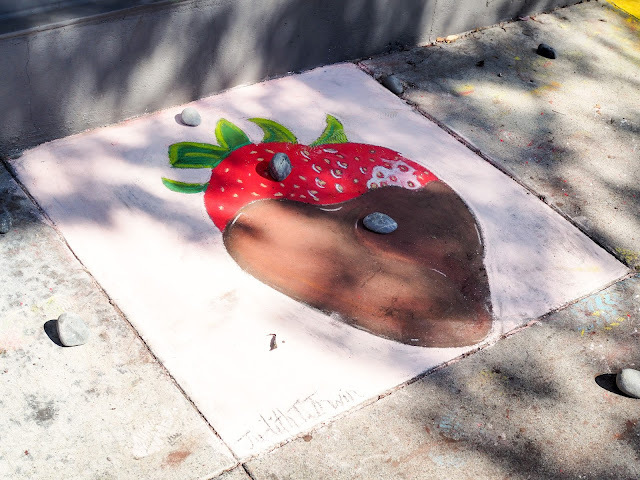 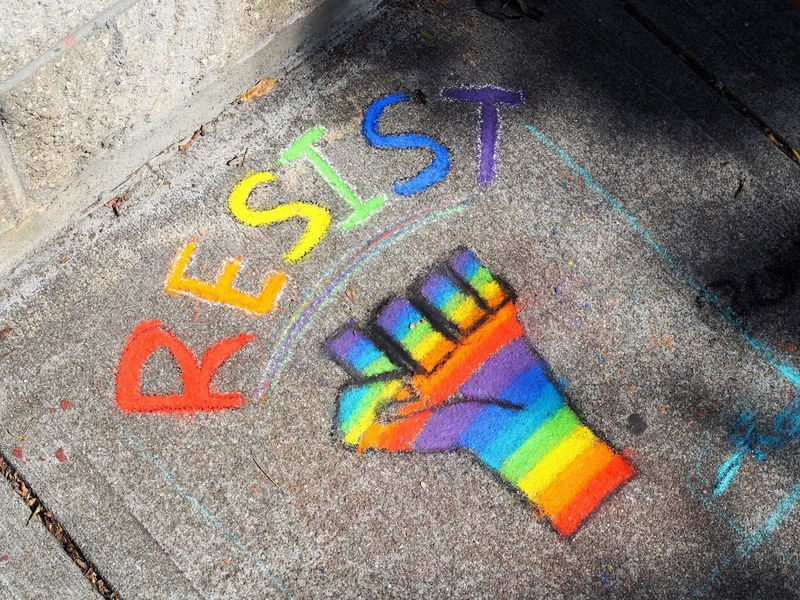 This year's festival was a little quieter than expected due to a peace rally being organized at last moment for the same day, but there was still plenty of great chalk art to be seen and lots of chocolate goodies to try. 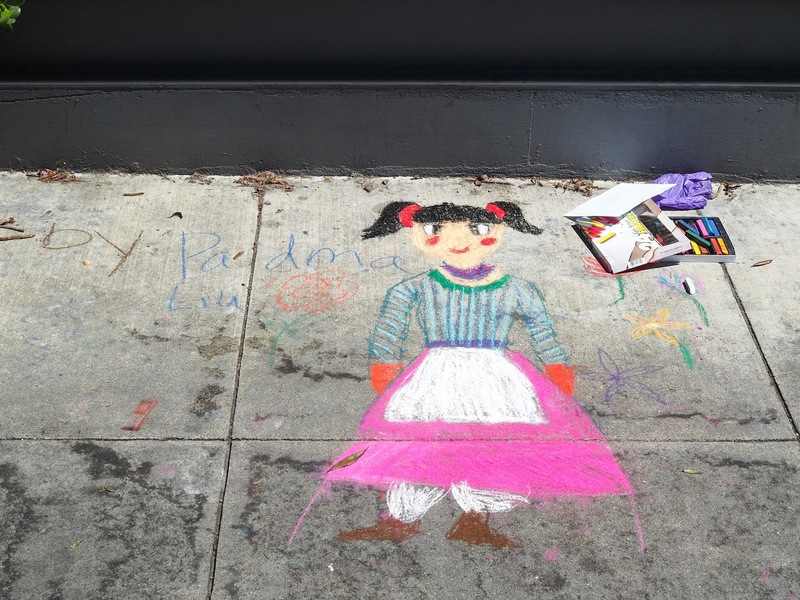 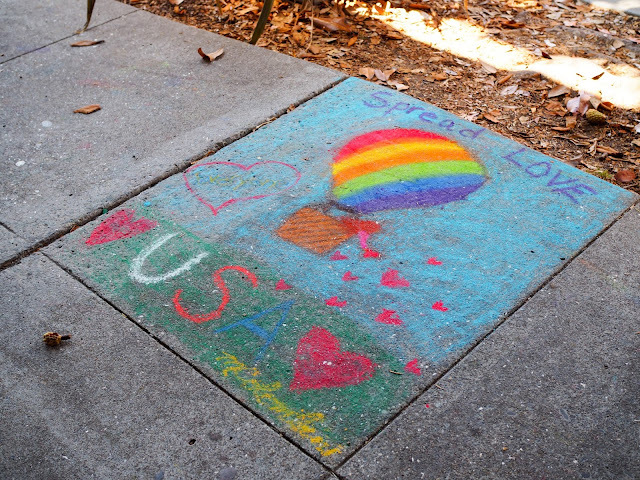 We started our day by contributing to the chalk art on the sidewalk. 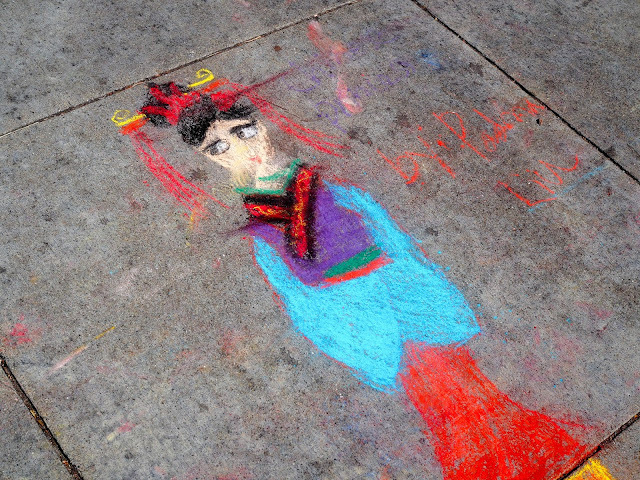 The girls each created their own masterpiece. 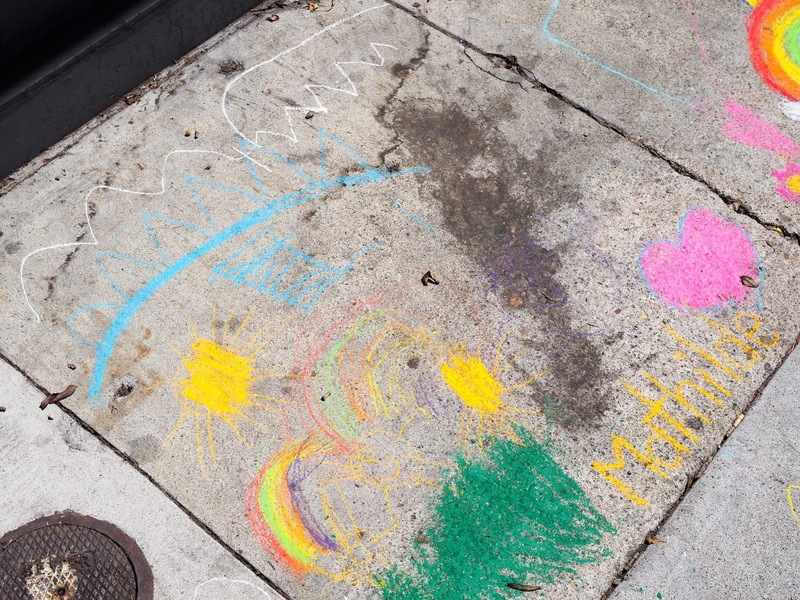 Ava drew a beach scene with a fishing boat in the water, Lola drew a rainbow, hearts and flowers, and Mathilde drew Mummy and Mathilde with a rainbow and a sun. 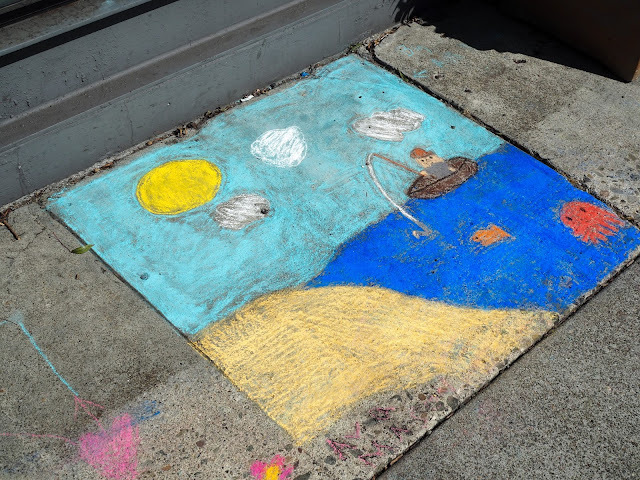 Once the girls had finished their artworks we went for a walk to check out the others on display. There was quite a range to see with pictures drawn by kids all the way through to professional artists and illustrators. 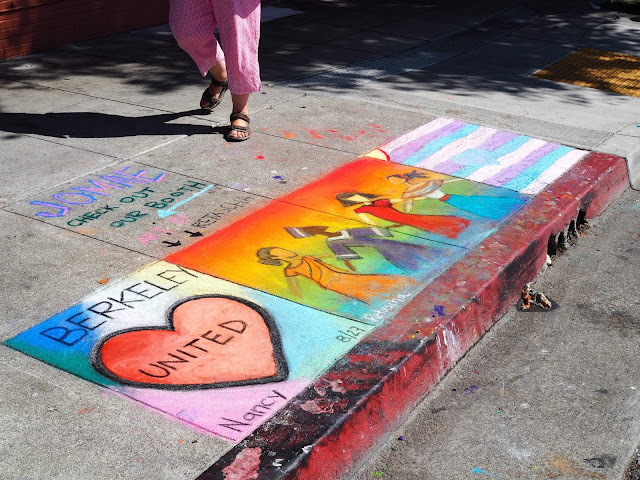 Given that there was a peace rally on at the same time (and that this is Berkeley) there was definitely a focus on peace and love in a lot of the artworks as well as a few political ones. 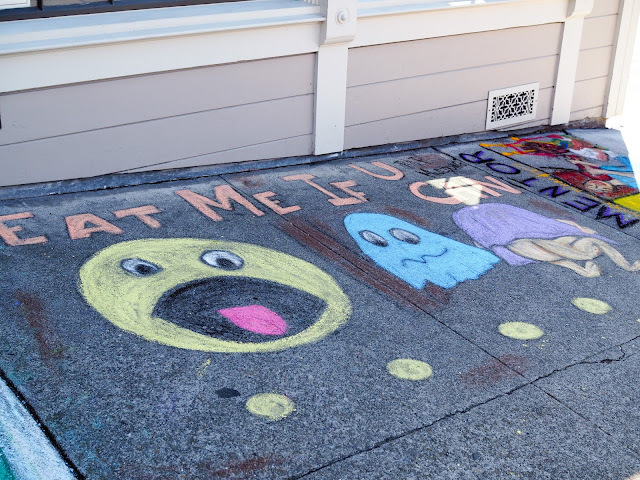 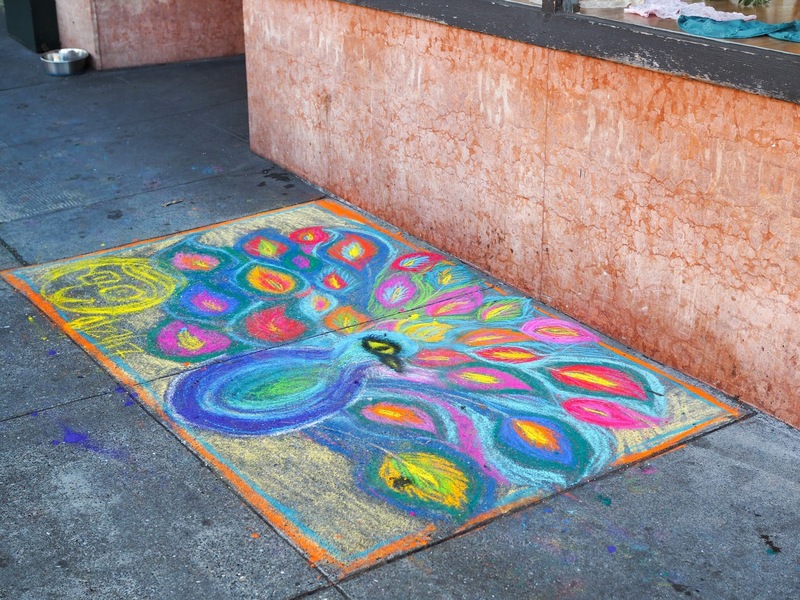 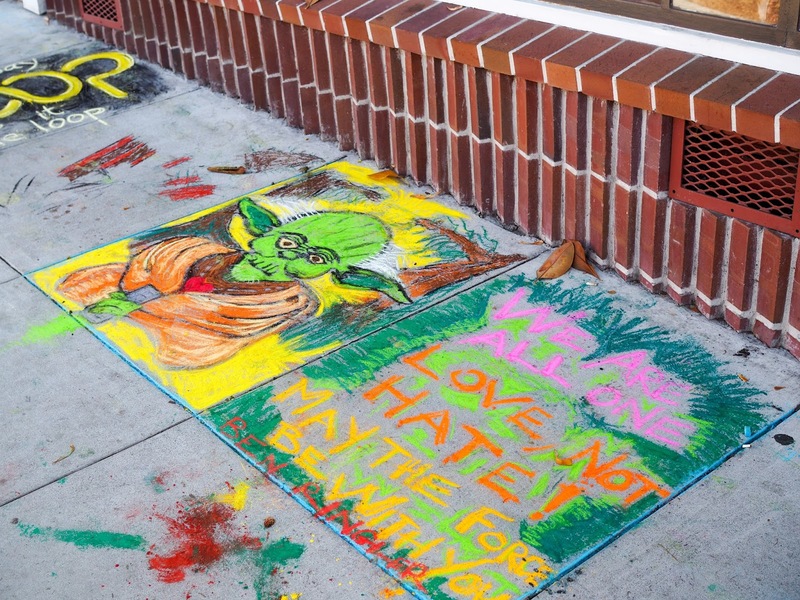 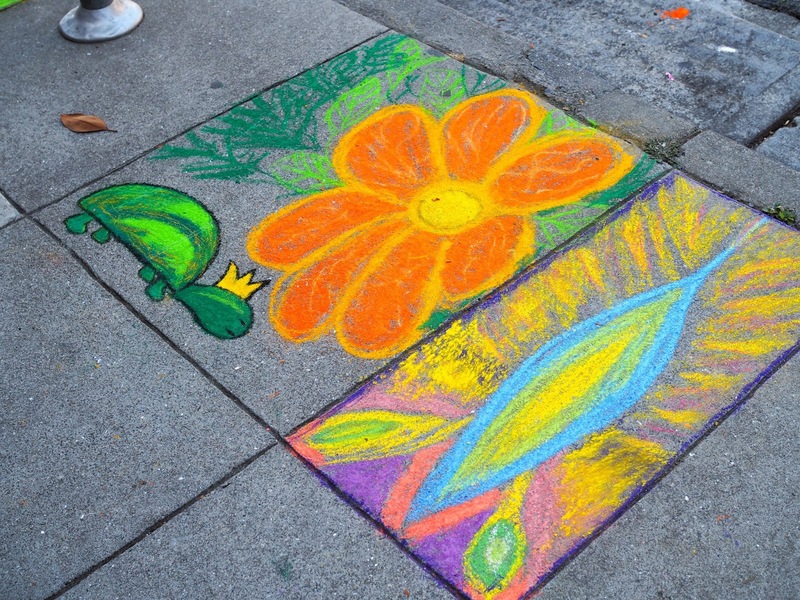 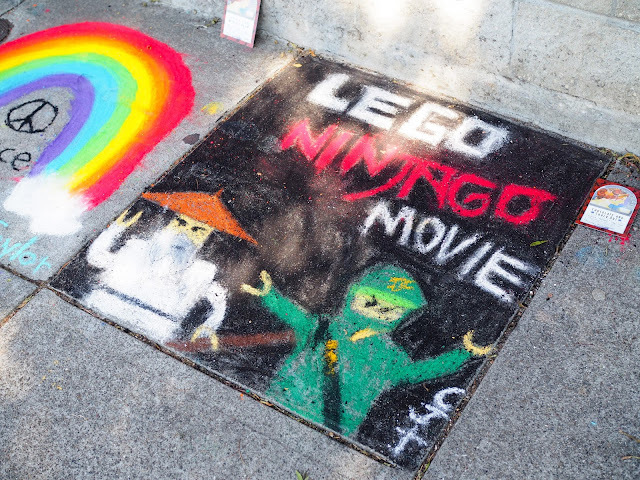 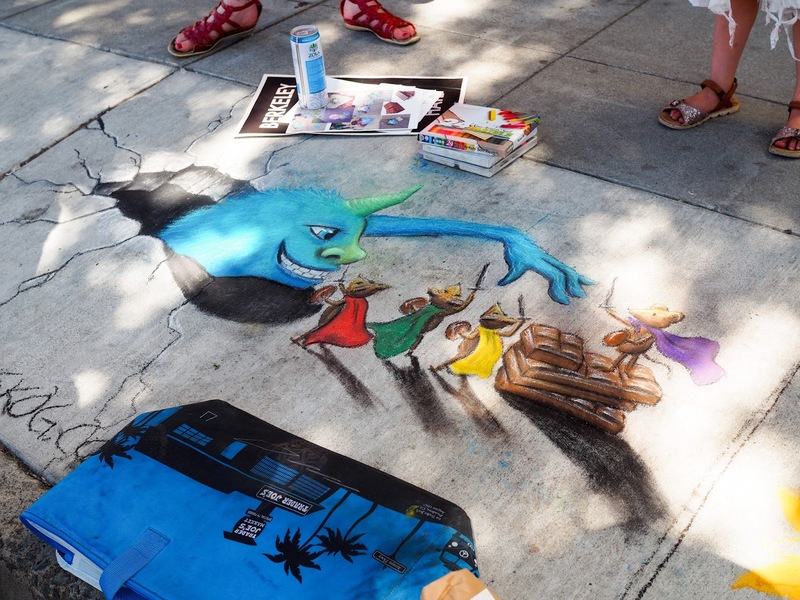 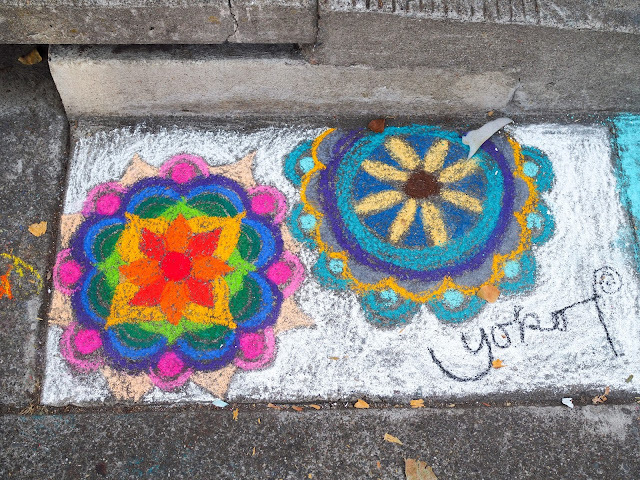 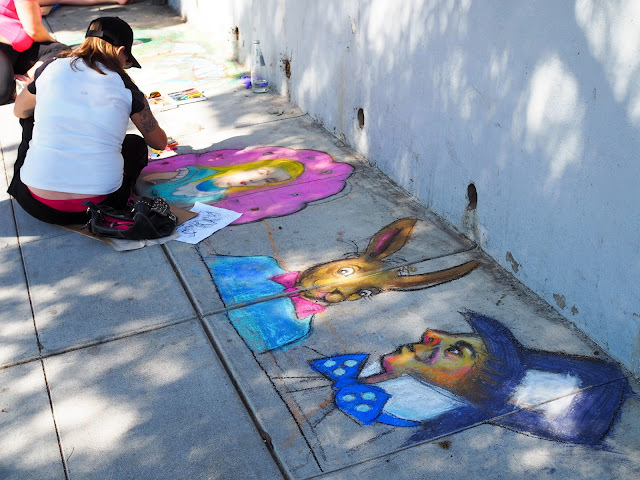 Here's a look at some of the colorful chalk art drawn for the festival. 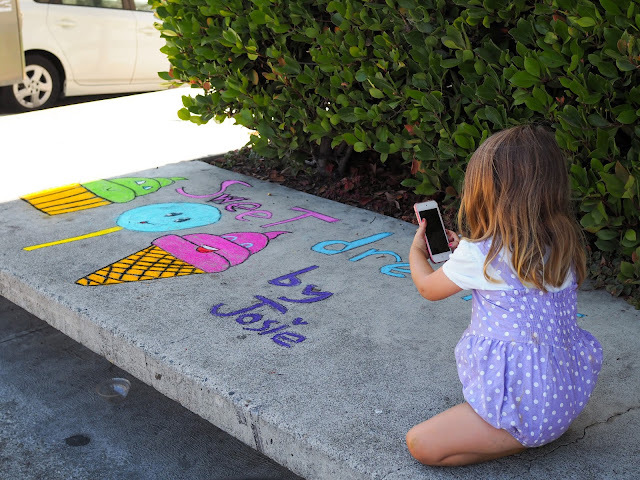 Mathilde was keen to take her own photos of the chalk art so she walked around with her iPod and snapped quite a few shots too. 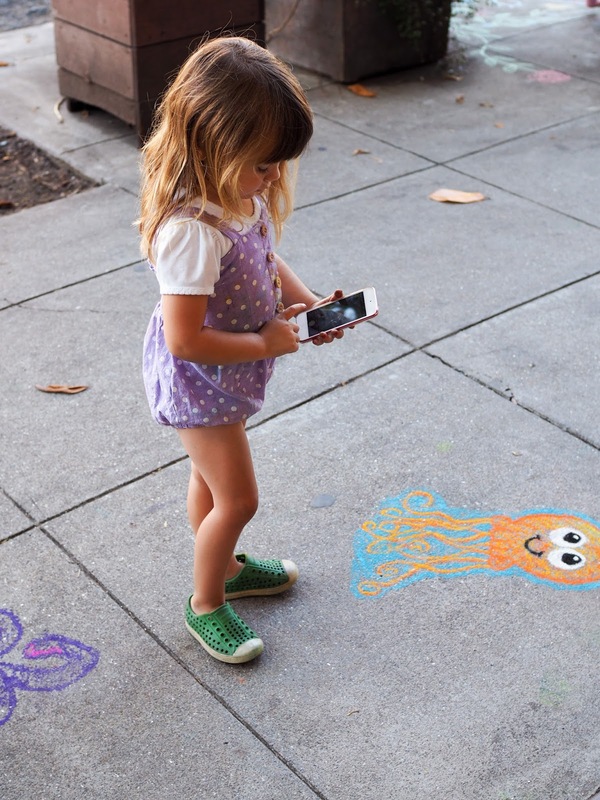 I really should take a look at the photos on her iPod one day. 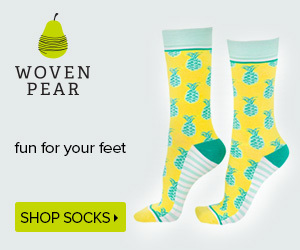 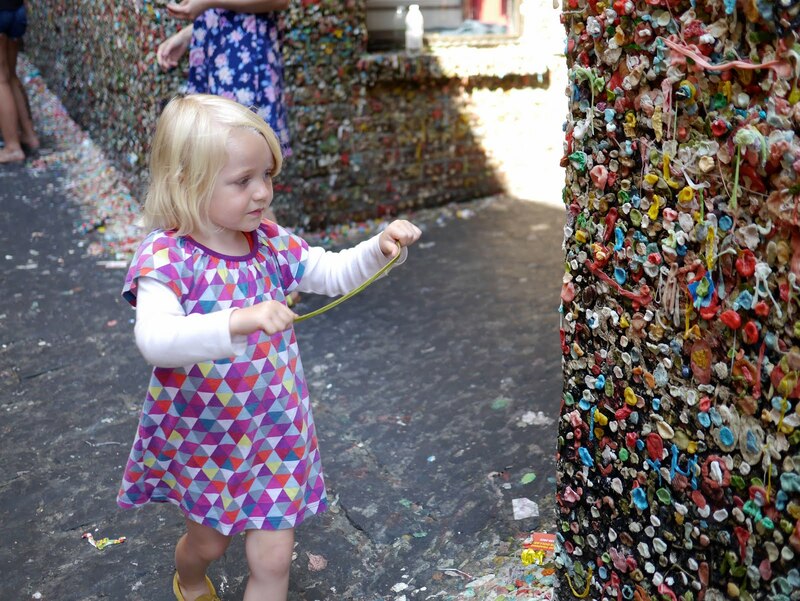 She takes so many, and most are of nothing in particular, but I'm sure there must be a few good ones on there. 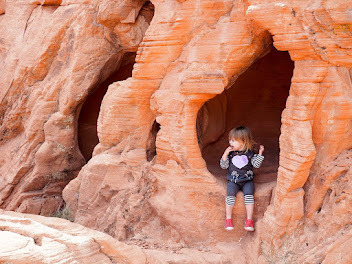 Ava took her own photos too with her Instax camera. Of course, the Chocolate & Chalk Art Festival isn't complete without trying a little (or a lot of) chocolate! 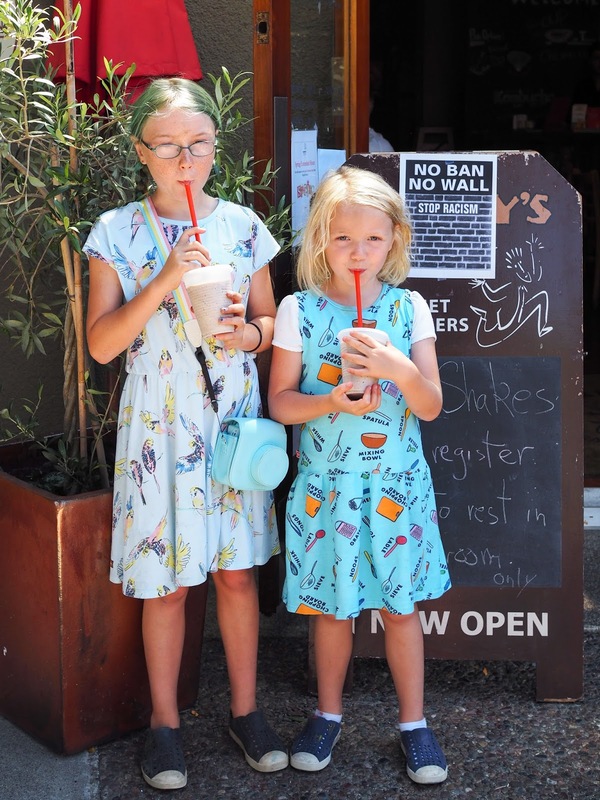 It was a pretty hot day so the girls were keen to start off their chocolate tasting with something frosty. Oreo thick shakes from Barney's were just the thing to cool us down - and they were super tasty too. 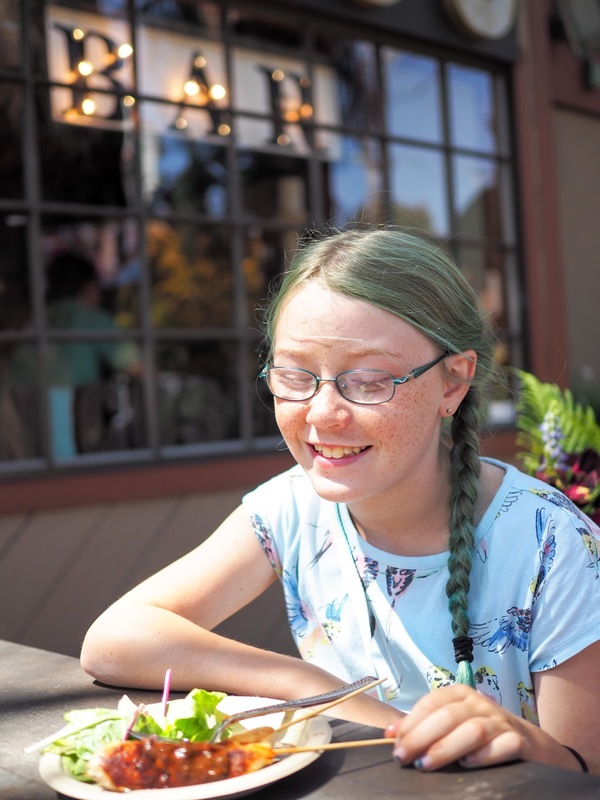 We then moved onto something a little spicier with chocolate mole chicken skewers from Nico's and mini chocolate cupcakes from Love at First Bite. 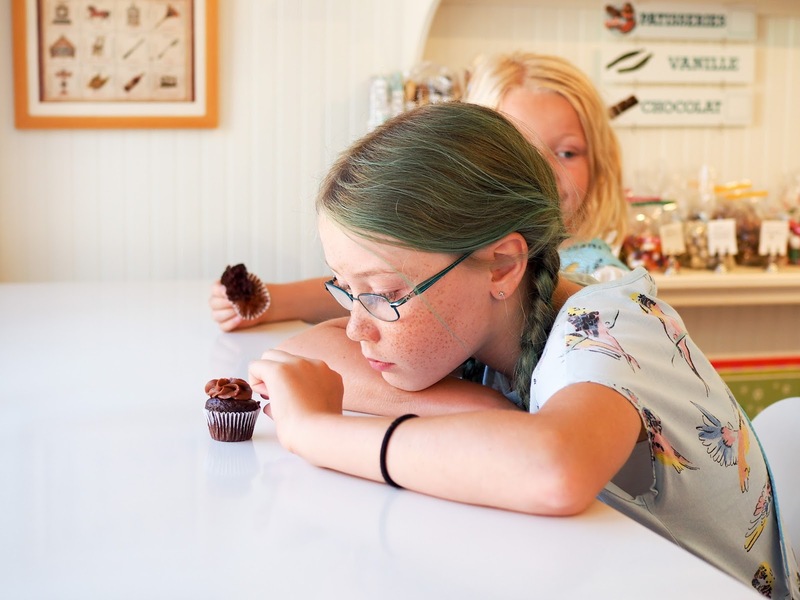 Mathilde wouldn't smile for the photo below because she wanted the big cupcake! 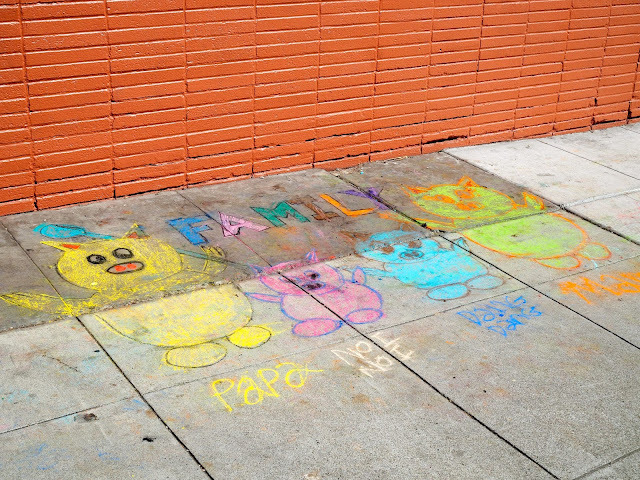 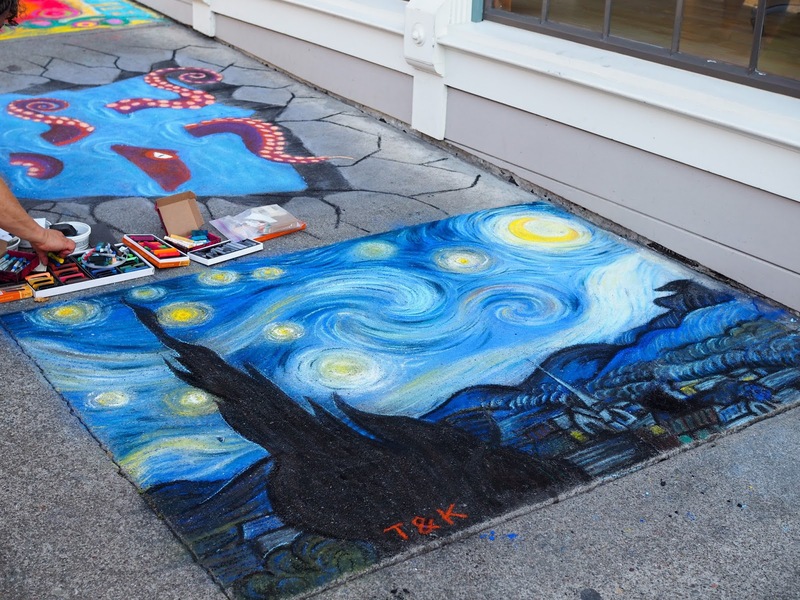 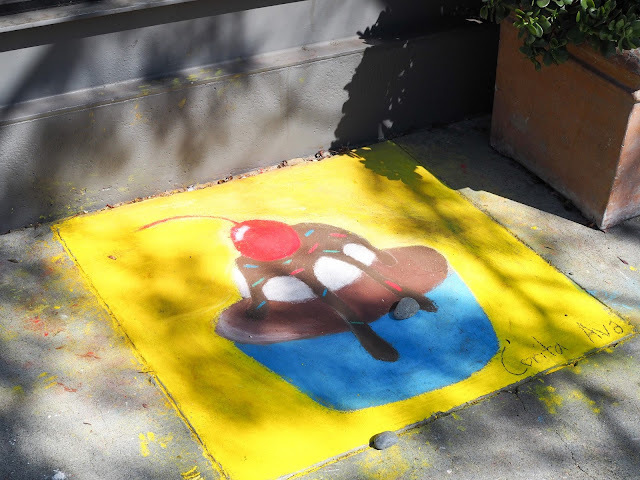 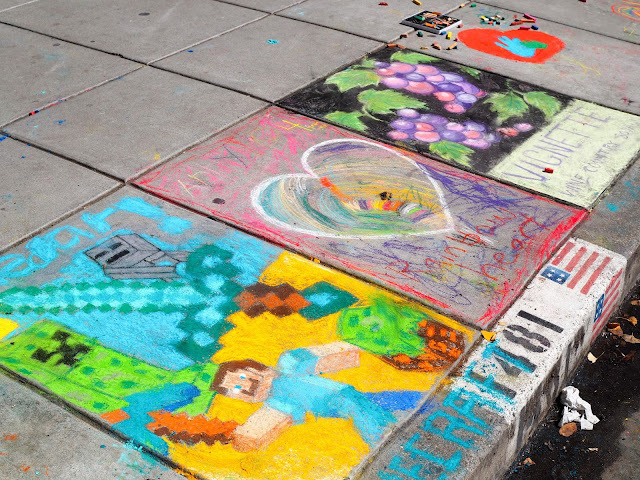 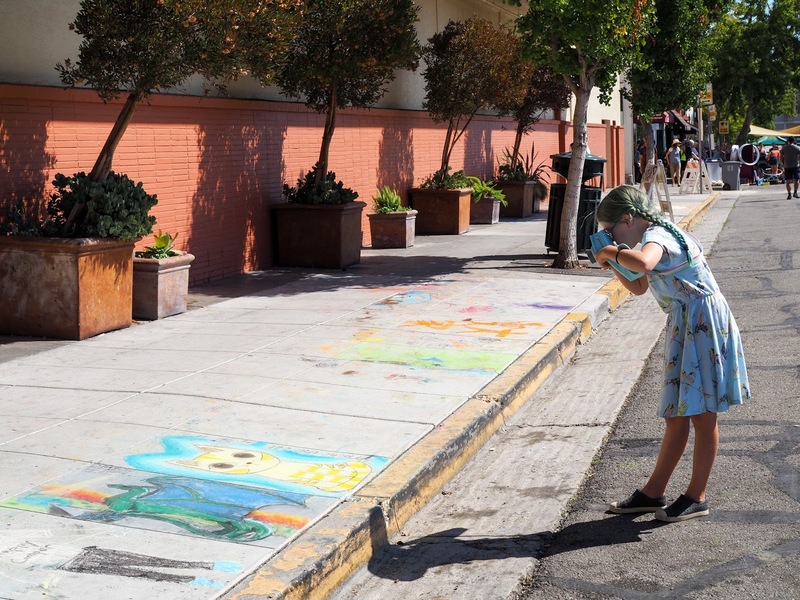 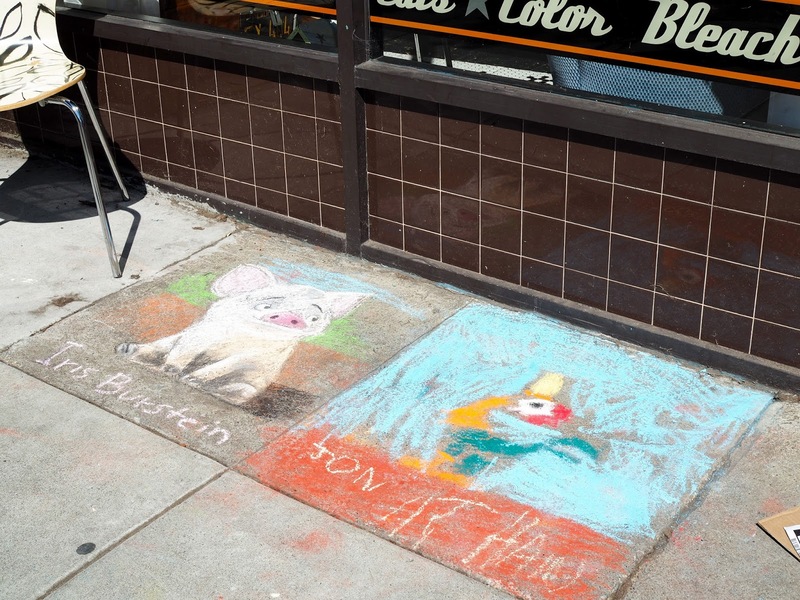 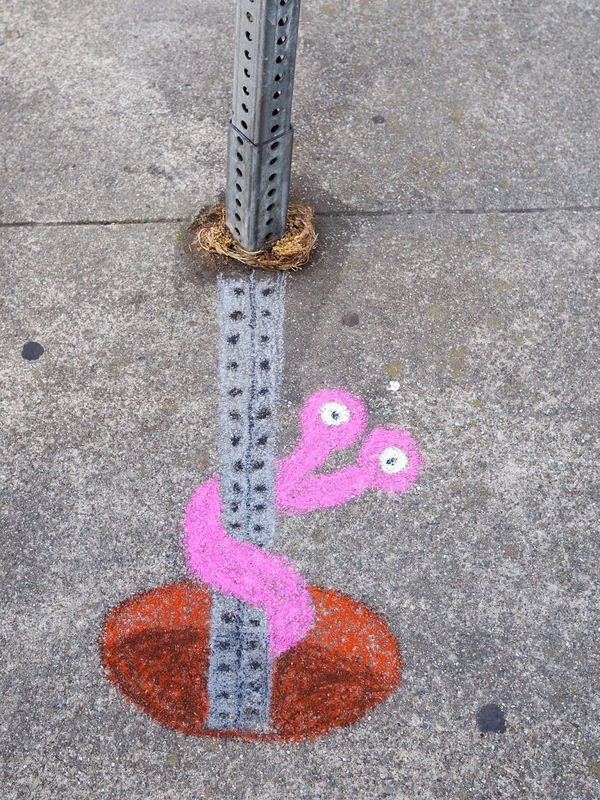 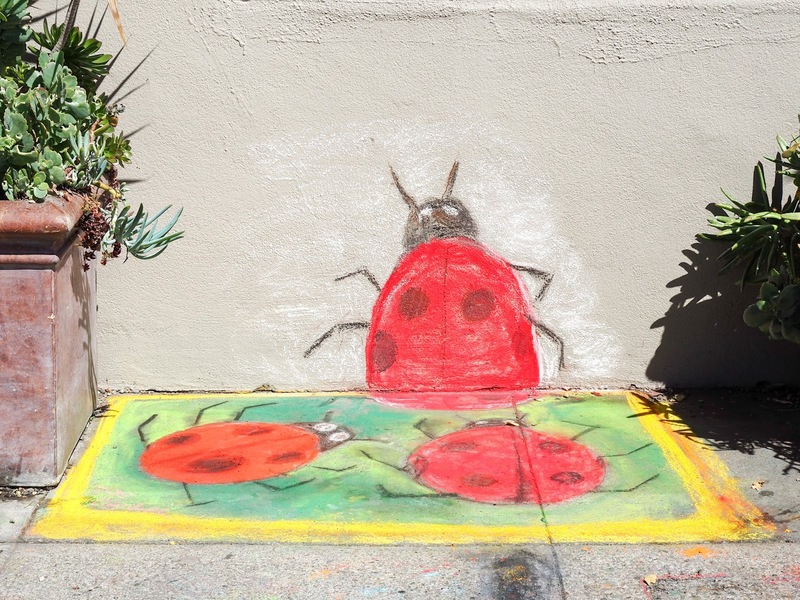 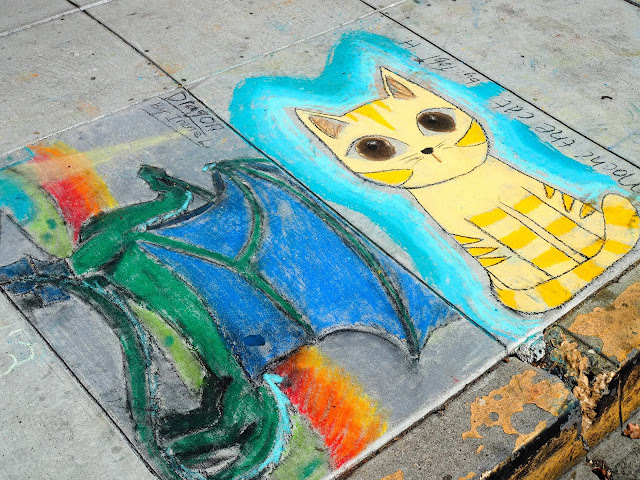 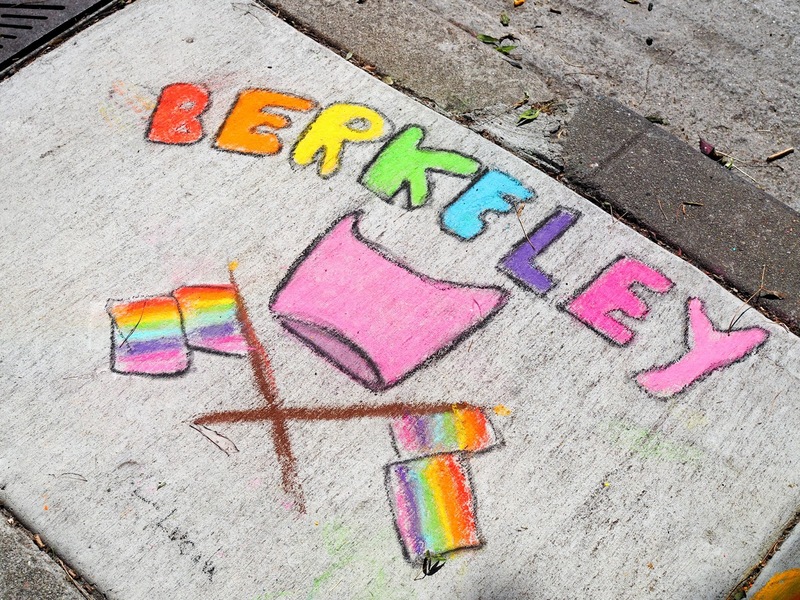 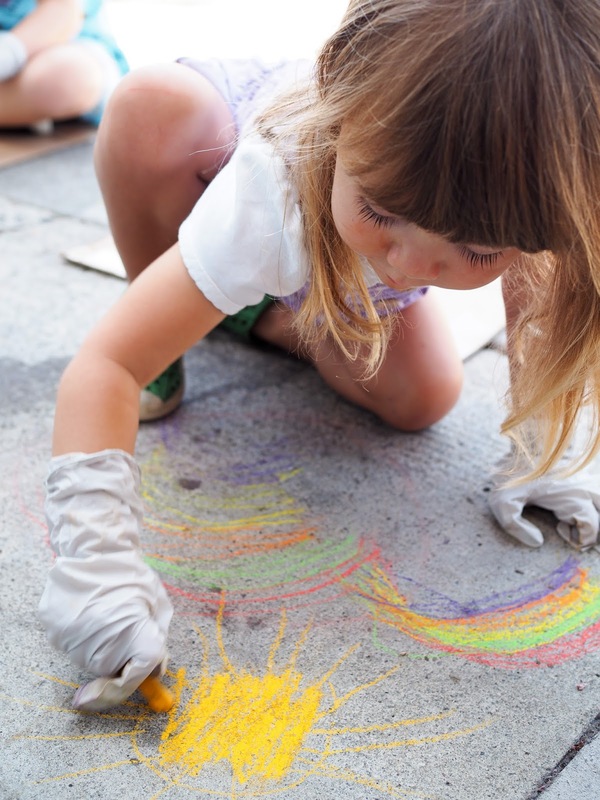 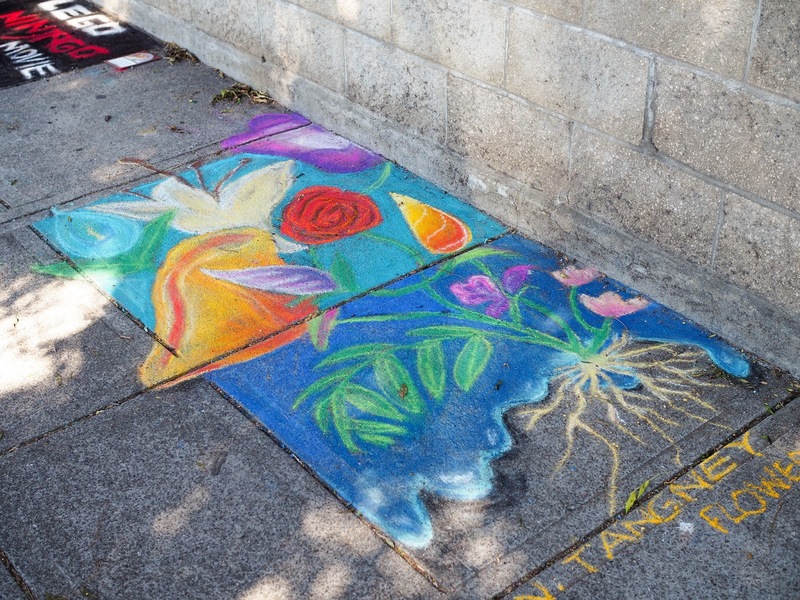 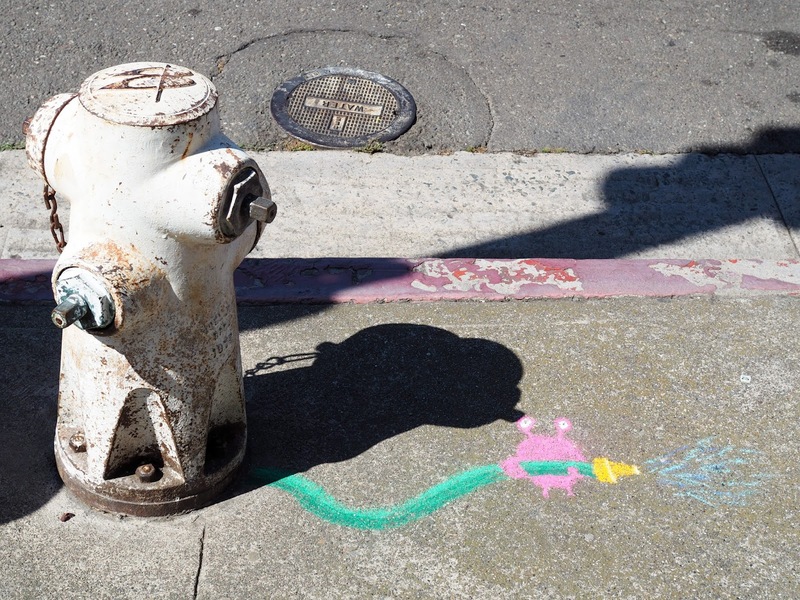 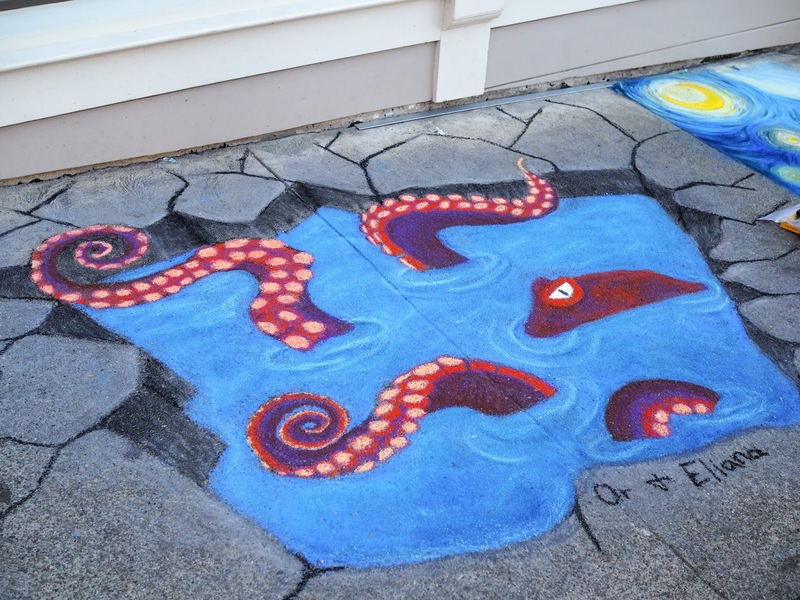 We had such a fun time at the Berkeley Chocolate & Chalk Art Festival and we really hope it comes back again next year!